In memory of those that lost their innocent lives in Paris last night Nov 13th, 2015. 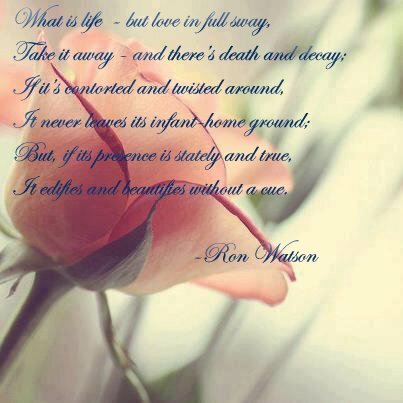 What is life — but love in full sway. Take it away — and there’s death and decay. It never leaves its infant home ground. It edifies and beautifies without a cue.